This HCC advocacy workshop for CSOs entitled: Designing a Regional Advocacy Campaign Plan for Childhood Obesity Prevention Policies. The workshop was aimed at supporting advocacy elements of HCCs Civil Society Action Plan 2017-2021: Preventing Childhood Obesity in the Caribbean as part of the Letter of Agreement with PAHO. Additional partners were Global Health Advocacy Incubator, Vital Strategies and El Poder who provided critical technical experience in the design of advocacy campaigns and mass media communications. Key regional resources included PAHO technical advisors, Prof Alafia Samuels of the George Alleyne Chronic Disease Research Centre, Nicole Foster, HCC Policy Advisor, and HCC CDB Consultant, Dr. Beverley Barnett. 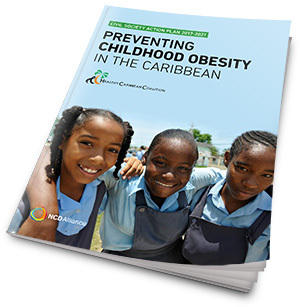 The outcome of the workshop – draft advocacy campaign plans – will feed into complementary activities under the recently awarded Caribbean Development Bank Grant aimed at building capacity among civil society organisations to respond to childhood obesity nationally and regionally. 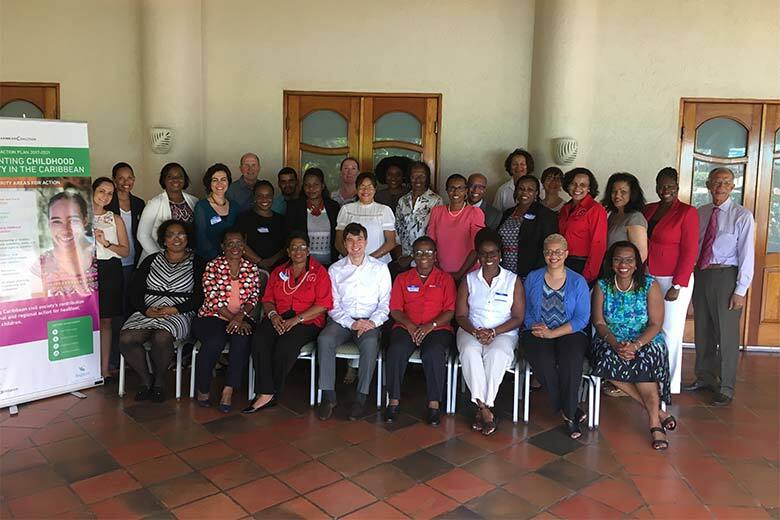 The workshop was attended by 10 organisations: The Heart & Stroke Foundation of Barbados; The Breast and Child Nutrition Foundation of Barbados; The Heart Foundation of Jamaica; The Jamaica Cancer Society; The Diabetes Association of Jamaica; The Jamaica Consumer Affairs Commission; The Belize Cancer Society; The Diabetes Association of Belize; The Cancer Society of the Bahamas; and members of the TT NCD Alliance, the Diabetes Association of Trinidad & Tobago.